I was just stopping by to check out your new posts when I got side tracked by this one. Morocco is on our shortlist for next travel spots. Your recommendations for Fez are great. 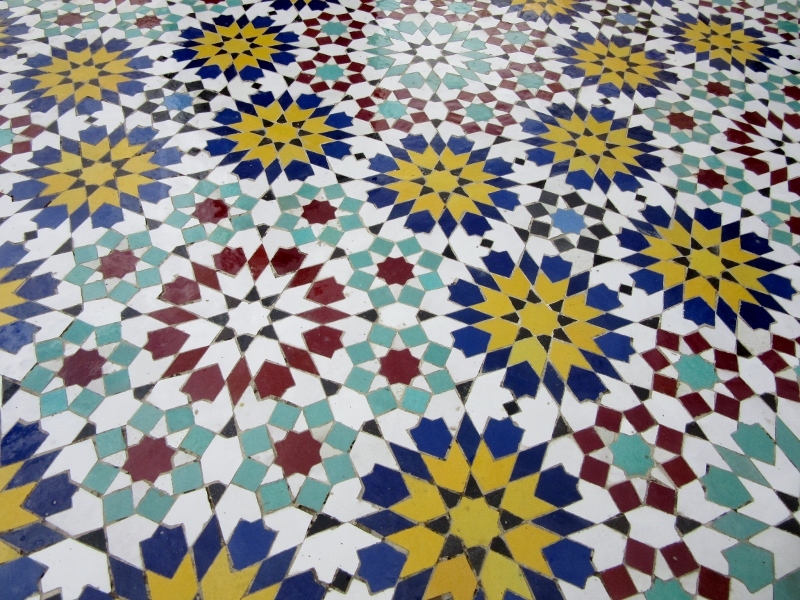 I love the tiles, carpets, pottery….and I definitely need to practice saying NO. I failed miserably in Cairo and succumbed to many cups of sweet tea while unintentionally shopping for leather ottoman covers. Oh, I think you’d love Fez, Caroline! We loved Morocco but Fez was by far and away our favorite city there and we’d go back there again in a heartbeat. The people were so welcoming and warm, the food was delicious and the whole sightseeing experience was unbelievable. We left with a long list of more things we want to see and do next time we visit. P.S. 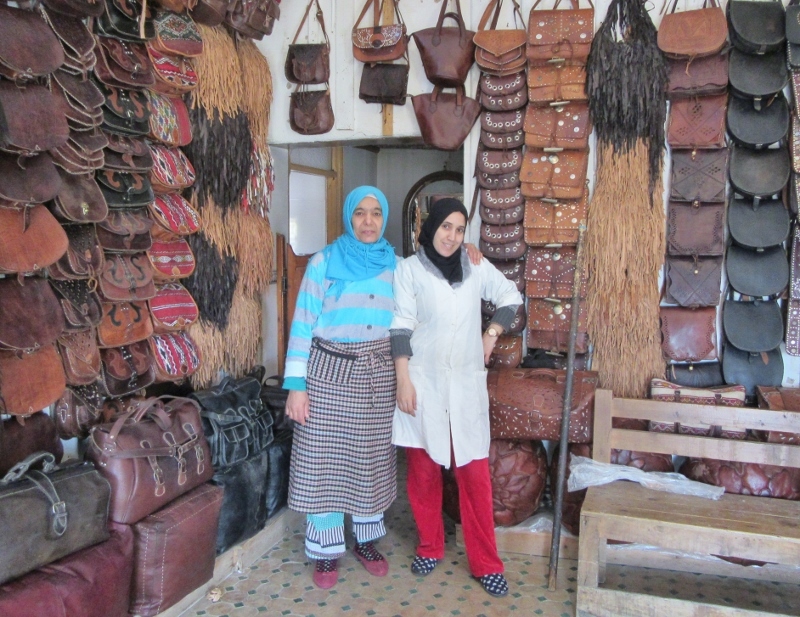 If you’re a soft sell, make sure to bring an empty suitcase because the Moroccans are accomplished sellers! haha…maybe I should restrict myself to carry-on (our house can’t hold any more souvenirs from travel)! I love Fez! Great post. Thanks for stopping by our blog and taking the time to comment! We loved Fez too and talk about going back again for another visit. The city is fascinating! I love Fez, it such a beautiful destination because of their rich culture and tradition. Amazing post, Anita and Richard! Thanks Agness for stopping by and taking the time to comment! 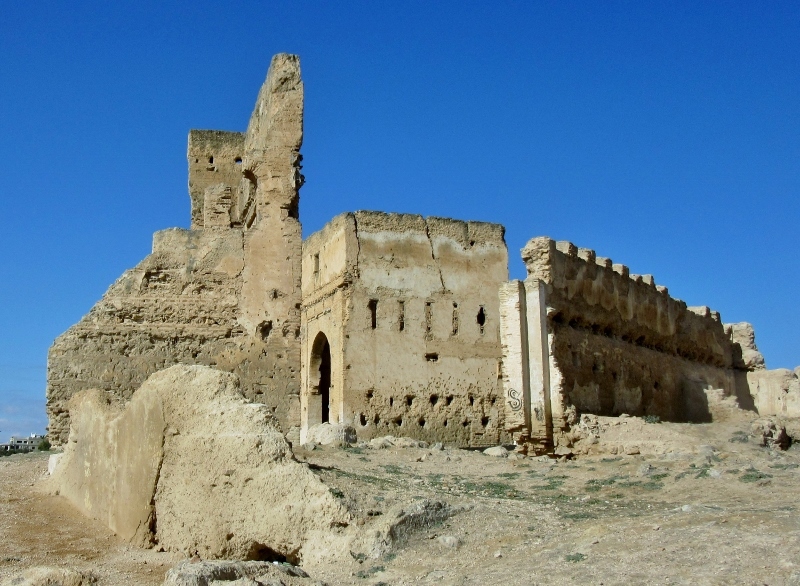 We totally agree that Fez is a fascinating and beautiful place with a rich history and lovely people. It sounds like you enjoyed your visit as well and, like us, would jump at the chance to go back. There’s so much to see and do and we left feeling like we’d only scratched the surface. What a wonderful account of your time in Fes. It makes me itch to go back. One of my strongest memories of Morocco when I was there back in ’79 is of the Fes medina. Can’t wait to see it again. That would be wonderful. We’re hoping to be in Portugal sometime next summer. I just started reading your blog. I hate to admit it, but I’m new to reading anyone’s blog (this is my first time posting a comment). Your information has already been very helpful and fun to read! My hubby and I are in our mid 50’s and leaving in March for 6-8 months in Africa,starting in Morocco. We plan to hit about 10 countries on the east and south side of Africa, moving from one to another when it suits us (keeping visa requirements in mind, of course). Many of the countries entry info. says we need “onward travel docs”. Since we don’t know how long we will be in a particular place, I’m not sure how to fulfill this requirement. What do you recommend? Before I enter a country should I buy a cheap bus ticket out of that particular country near the expected visa expiration date just to fulfill the rule? (Ex: I’m in Uganda ready to go to Rwanda. I would buy a cheap form of travel out of Rwanda to present to Rwandan officials upon arrival to receive my visa.) I hope my question makes sense, any suggestions are greatly appreciated. We’re so glad that you dropped by Carey and we’re really happy that you made your first blog comment on our post as well! And we have to apologize for our late reply to your questions as we’ve been logging in the miles over the last several weeks with a lot of travel in the US. And wow, what an adventure you have planned. It almost makes us want to pack our bags again even though we haven’t quite finished unpacking from our last jaunt! I especially love the way you plan to travel (a very rough itinerary and moving SLOW to get the most out of your experience) as it worked very well for us for more than three years. Unfortunately, we don’t have any firsthand experience with the visa requirements in the areas you’re planning to visit. Before we obtained the Portuguese residency visas most of our travel experience was in Central and South America and the Caribbean and we’ve only had 2 countries where we were asked to produce proof of onward travel, Panama and Curacao. We’d done some previous planning in those instances and had airline tickets but we’ve also heard of travelers who have presented bus tickets as well. We’re sorry that we can’t give you any more definitive answers but we’d sure hate to steer you wrong. One idea that you might pursue is posing your question to the online expat communities in the countries you’re planning to visit and see if you can get an answer. We’ll be interested in hearing what you find out as well as reading about your experiences in countries that remain largely unknown to us but no less fascinating. Good luck! Makes me wish I could jump on a plane this morning and head over. Some day we too will get lost in the Medina of Fes! So many places to go and, like you, we know what you mean about wanting to jump on a plane to visit a new city, especially one as fascinating as Fes. It seems the more we travel the longer our list of places to go gets! When we tried to get away politely with saying “Just looking” that seemed to motivate the salesmen even more! 🙂 And maybe times have changed since you were there as we felt quite safe wherever we wandered while we were in Fez and people were quick to smile. Several Moroccans that we talked to mentioned proudly that Morocco was the first country to recognize the United States as an independent country after the Revolutionary War and spoke with great admiration for President Obama. Kind of made us feel like ambassadors! Great tips, I would love to visit Fez one day, so will keep this post saved. 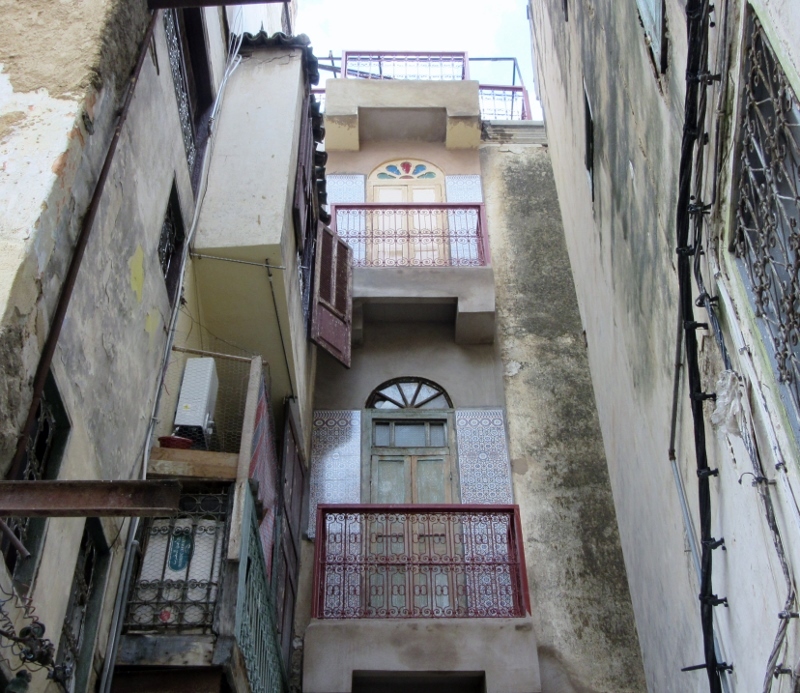 Would love to stay in a riad and explore the medina and will no doubt get totally lost and confused there. Did you enjoy the food there? Great question about the food, Gilda! I can’t believe we haven’t rhapsodized about the fabulous Moroccan food, especially the tagines with their tantalizing mix of so many unexpected flavors. Breakfasts started with a carbohydrate overload of many different kinds of pastries (another tip, stretch jeans!) and our dinners were an adventure in themselves. We mentioned a cooking class to our hosts at the riad and, if we return, they will arrange one for us. Mmmm! We visited Fez about eight years ago This brought back good memories. The tannery back then was very different ….all the vats were irregular shapes, sizes and heights. Quite a sight! 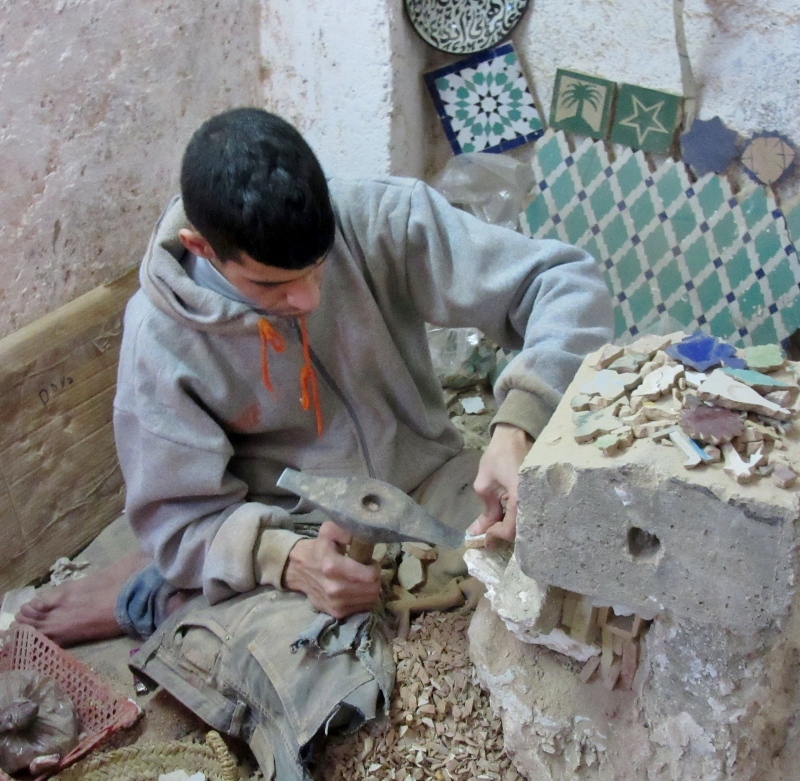 I love the Morrocan culture and hope to get to Fez some day. Your picture of the satellite dishes made me laugh though – what a contrast to the ancient buildings! The satellite dishes on top of the buildings were a real anomaly and had us laughing too! We weren’t quite sure what direction they were facing and (didn’t want to offend anyone by suggesting they might be facing towards Mecca) but it looked for all the world like they were awaiting some extraterrestrial visitors! Everything looks so colourful. 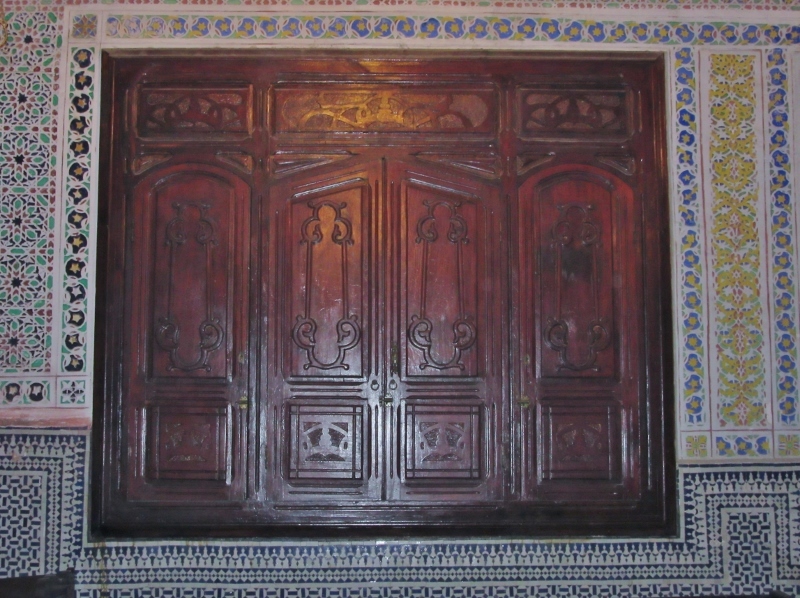 I’d like to stay in a Riad and wander the Medina, even if I did get lost. Getting lost in the Medina is a given and it’s fun to do away with the frustration of trying to keep your bearings and just wander. There are plenty of unofficial “guides” on almost every corner who are happy to point you in the right direction for a little bit of change! 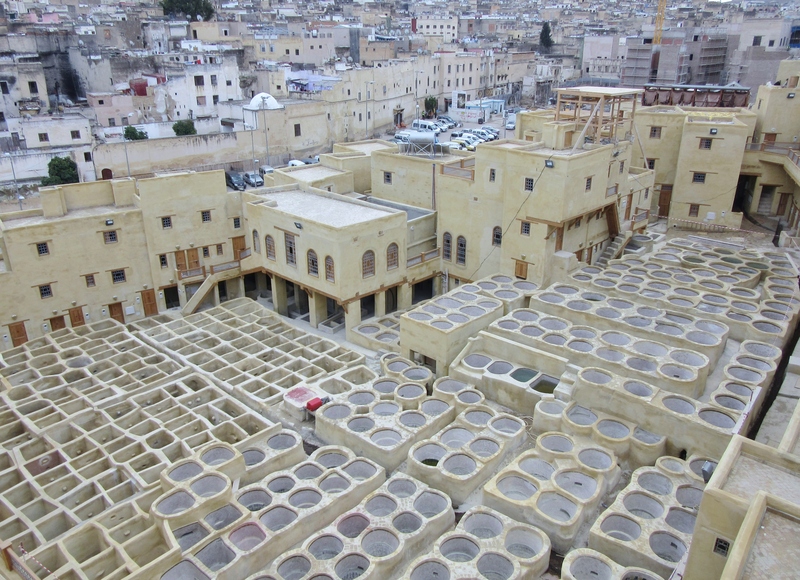 I loved Morocco and Fez when I was there 5 1/2 years ago, but not so much the smell of the tannery. You’re so right about having will power when it comes to shopping, and I would add: good negotiation skills! I DID buy a rug and can’t believe the bargaining I had to do. But it was worth it! There are so many things for sale in the shops that it is just OVERWHELMING plus the sheer aggressiveness of the vendors kept us from lingering too long is any one place. We bargained hard at the end of our trip in Morocco while we were in Marrakesh. Our trophy is a small silk rug that’s draped over our couch now and could also be used as a wall hanging. It’s terrific to have a home base where we can display just a few treasures here and there! Fascinating! Love every nook and niche and colors. Thanks Patricia and we’re glad we could share the city of Fez with you. “Fascinating” really is the word that sums up how we felt about our visit to Fez and we hope to return soon to explore more of Morocco. Couldn’t help but think of the Steely Dan song “Never Gonna do it Without the Fez on,” also, wow, that is a crazy amount of satellite dishes! Anyway, looks like a great visit and we certainly hope to make it to Morocco soon. HaHa – Now that song was a blast from the past and your comment had us laughing! 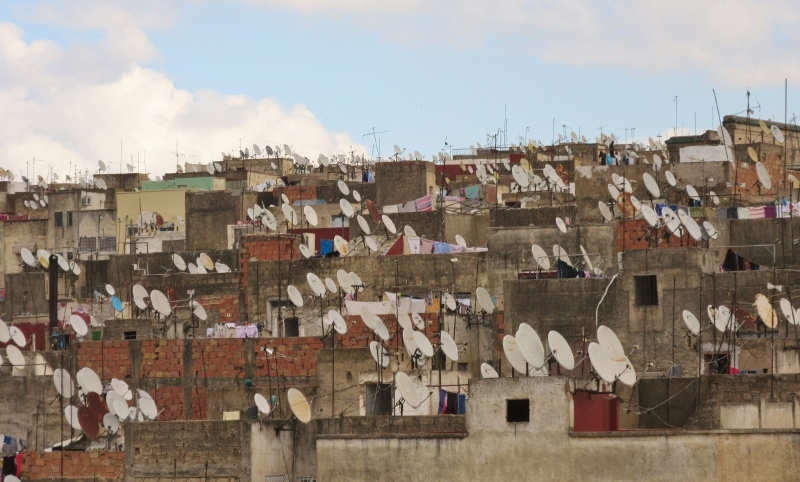 And you’re right about the satellite dishes – our scenic view of the old city from the hilltop was a strange juxtaposition of the centuries old medina and new age technology. But despite (or because) of the contrasts, Morocco is a fascinating country! This is the first Islamic country that we’ve traveled in and we noticed some cultural segregation immediately although tourism plays a huge role in mixing various cultures. One of the things we noticed was that almost all of the patrons at the outside cafes were male and the tour business seemed predominately male. 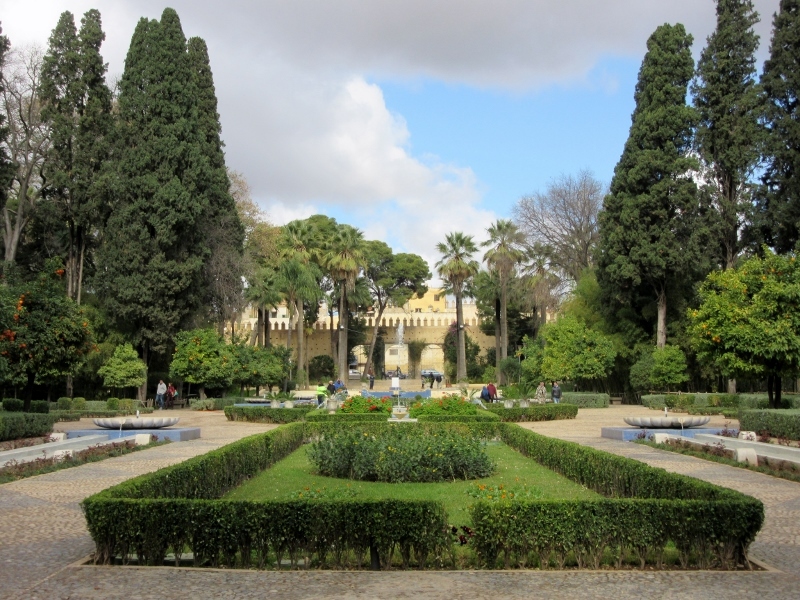 Also, the local men and women did not seem to mix for activities like strolling about in the park – men sat with men and women with women, The dress among the local women varied from a few fully veiled women to those with headscarves only and others wearing western style clothing. People, however, were very polite and surprisingly many knew a few English words. While we stuck out as tourists we never felt uncomfortable or unwelcome. That’s very interesting. Thanks so much for your reply. I’m looking forward to more of your travel stories and pictures. Thanks for your very kind words. It’s always fun to share our stories with fellow travel enthusiasts! It’s very other worldly – and the architecture, especially the tiles, is very reminiscent of the architecture found in Portugal…but there is a Moorish influence in Portugal. Lovely post. How safe is this for a solo female traveller do you think? 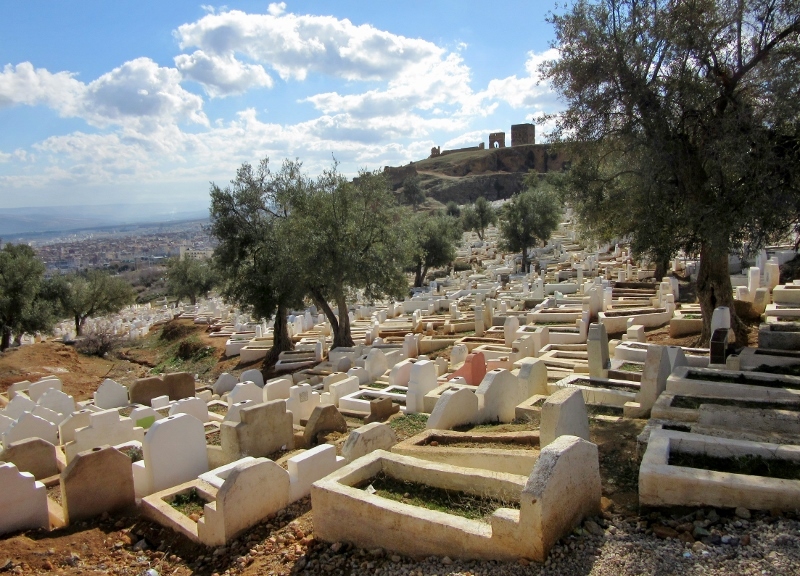 I’d love to visit Fez, and probably will, but that hard sell, which I experienced in Egypt and Israel, gets so old. It can easily spoil a place for me; I tend to avoid marketplaces because of it. There’s a tone of voice you can develop, though, which gets across the idea that no means no. The problem is: as soon as you so much as look at something, vendors think you want it. We’ve gotten out of the habit of saying “No” assertively and you’re right, Rachel, it does get old. In fact, towards the end of our visit (when we were in Marrakech) we found ourselves actively avoiding some of the places we would have loved to have browsed through just because of the aggressive vendors. Usually there’s some charm and regret when we say no but a few times we were happy just to escape with our money still in our pockets! We are heading there in a couple weeks. Sure appreciate your tips and insights. Thank you! Hi Tim and Joanne and thanks for stopping by our blog. 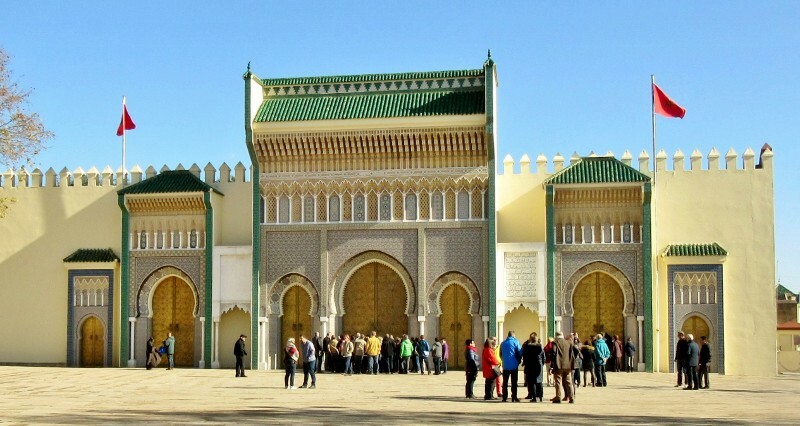 You’re in for an amazing time in Morocco and about the only thing we can really guarantee is that there’s so much to learn and see and do that you’ll have a hard time deciding which sights to see. Have a great time! We are always excited to start the next adventure! Isn’t it awesome to always have a great adventure to look forward to? That’s one of our favorite things about travel! I think I almost did everything but check out a potter and I’m a ceramicist so go figure! Loved the visit back to beautiful Fez! 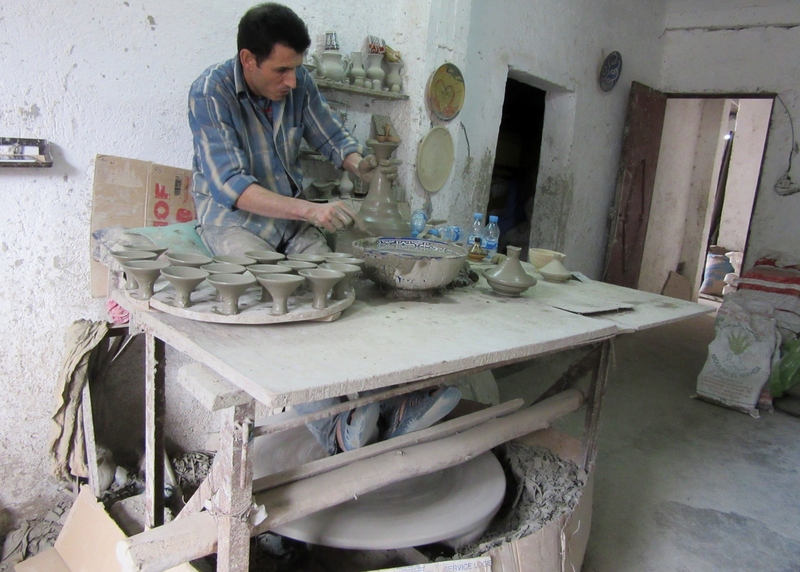 Visiting the Art D’ Argile shop was really interesting as we learned about what goes into hand making the tagine bowls and other ceramics, hand assembling the mosaics and hand painting the pottery. 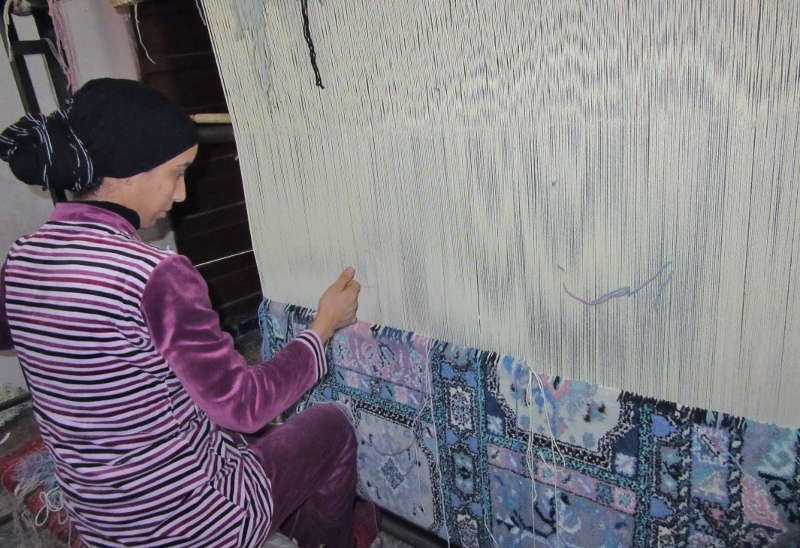 Coming from an industrialized country where very little is made by hand it was fascinating to think that these skills have been passed down for centuries and to also realize the time involved in each piece as well. Great entry and wonderful photos, as always. Love following your journeys. Thanks Suzi. We’re always glad to share our journey and photos with you! Maybe one of these days we’ll even find ourselves in the same part of the world! Some great tips. What a shame about the tannery being closed, we enjoyed it there even though we had to endure a heavy 30 minute sales pitch to get the view! We’re so glad you’re enjoying our posts Jackie and Joel. Sometimes it can be really surreal to be admiring ancient ruins and contemplating the history and then see signs of technology and modernity mixed in – kind of like, “What’s wrong with this picture?!” . And cell phones, satellite dishes and telephone wires are ubiquitous. However, having all this technology at our fingertips makes travel a lot easier! This looks like an incredible trip! Particularly love the look of those mosaics and tiles, so beautiful. 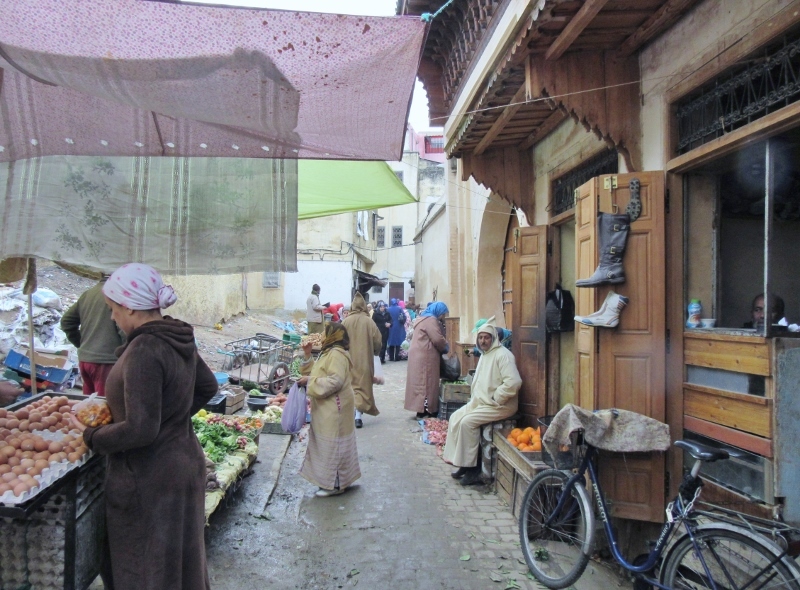 I visited Tangier a couple of years back on a day trip from Spain, and that barely touched the surface – Fez sounds like a really interesting place to visit! We kind of blew through Tangier both going to Fez and then returning from Marrakesh to Spain and I think we missed some great sights there as well. And, even though we spent several days in Morocco we felt, like you, that we had barely scratched the surface. What an incredibly rich country and we’re glad that we live nearby so that we can make a return visit! You made me feel the experience, sights and even smells. Thank you for sharing. So glad you could take a virtual tour with us but we wish you could have been with us Jeannie. You would have had a great time and I’ll bet you might even have found a rug to take back to Nicaragua with you! Selling and giving away almost everything before we started our travels in 2012 and then living out of suitcases for three years has really helped us be mindful before we buy. Since you’ve also gone through downsizing Susan, I’m sure you realize how much harder it is to get rid of things than to acquire! 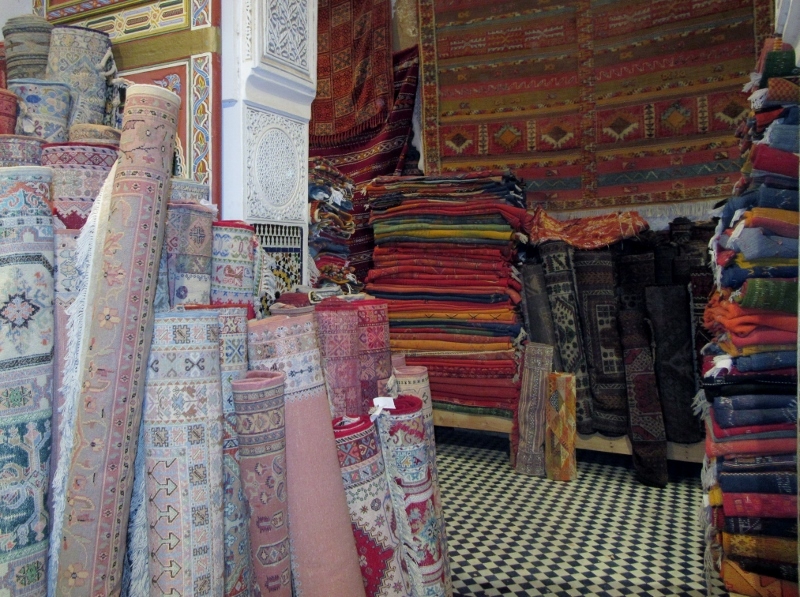 🙂 But that isn’t to say we weren’t tempted – And (spoiler) later in Marrakesh we did buy a small silk rug that we have draped across the back of our couch. That time, we just couldn’t resist! Impressive buying skills – I know the feeling of being very selective, and also the feeling of giving in once in a very long while. Wonderful photos! Glad that you had such a fruitful trip! Thanks so much! We both like taking pictures and our challenge is to be ruthless in discarding photos that are duplicates, blurred or we don’t like – otherwise we’d never find our through them. And if a fruitful trip can be measured by the number of photos – this was a most excellent trip! It all sounds totally charming, and completely overwhelming. You two are gaining some very interesting passport stamps! Keep it coming, and thanks for all the info. It is fun to see the stamps spread across the pages of our passports (we want more!) and even more interesting to collect the experiences, stories and photos. It was also fun to plunge into a completely foreign culture but whenever it threatened to be completely overwhelming we’d take a break, have some tea and take a deep breath. Going slow helps keep the charm! It looks fabulous! 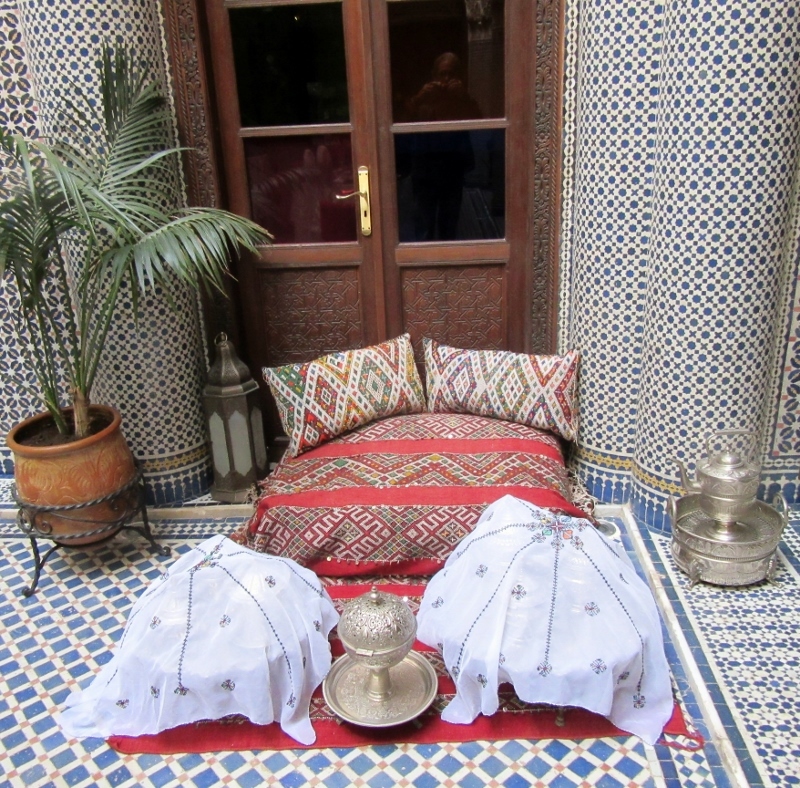 I’d love to stay in the Riad. The tiles and rugs are so gorgeous, it would be very difficult to say no, even without all the “encouragement.” Beautiful! Both the wool and silk carpets were absolutely glorious Betsy, and if we’d had our old home I know we would have walked out with one … or two … or three! I think the thrill of a good bargain as well as the habit of acquisition lies deep inside of us so we definitely had to keep each other firm in saying and repeating, No, thanks!